← Pastor of Megachurch- "advocate for simplicity & generosity"
Pastor John Mugabi "Restoring Hope to the Orphan Child"
I greet you in the precious name of our Lord and Saviour Jesus Christ. I also convey warm greetings from our community here at Nkumba. First of all, I thank Him for your individual lives, families, work and ministry. I thank Him for His grace and provision, which, in turn, has enabled you to be part of this ministry. I would like to share with you our concern on the matter of physical welfare (nutritional support) for children under our care and support. As you are already aware, Nkumba Christian Schools Project is established in obedience to the Masterʼs commission to believers to disciple nations. More than 50% (500+) of the children in our schools are on education support, and these are mostly orphans. Our Child Education Support Programme caters for several children, including orphans from northern Uganda, where 20 years of civil war left many children deprived of proper livelihood. Other children coming from different parts of Uganda, including our immediate neighborhood (Nkumba) are mainly orphaned by HIV-AIDS. Some children are categorized as needy, because they come from families which can not support their education. At the same time, our schools have received a number of children whose parents are in prison. These children are now on education support. Our outreach to the above vulnerable group is motivated by the biblical command to care for the widows and orphans (James 1:27). 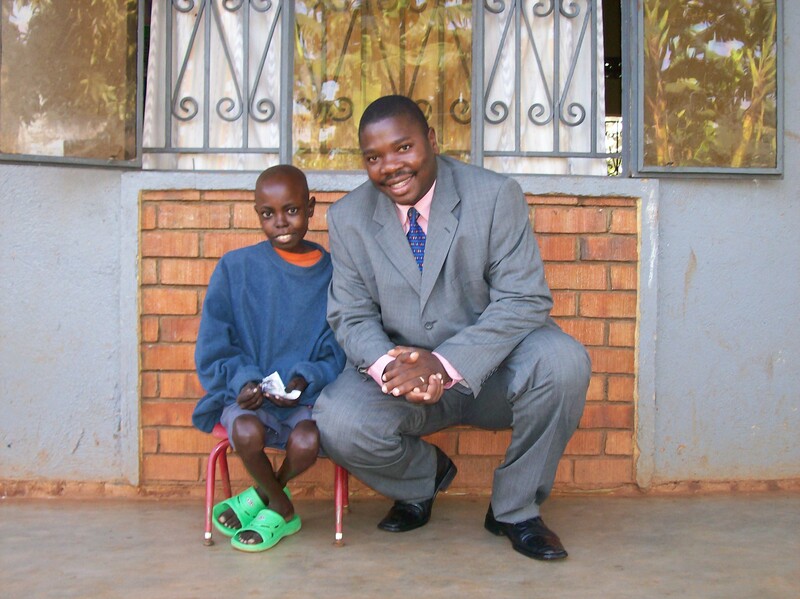 In Isaiah 1:17 the Church is given the responsibility to defend and care for the wellbeing of the orphans. At Nkumba, we believe that one way of restoring hope to the orphan child is through education, as it will equip them to face the future, which at present (in the absence of family support) seems uncertain. We also believe that education is vital if we are to tackle the cycle of poverty and disease in the developing world. But we also work towards improving the physical well-being of the children under our care, hence the need to attend to their nutritional and medical needs. Certainly, educating or boarding a needy child is not enough; some other factors need to be considered and addressed. We have observed that our lunch meal is the only substantial meal most of these children have for a day. 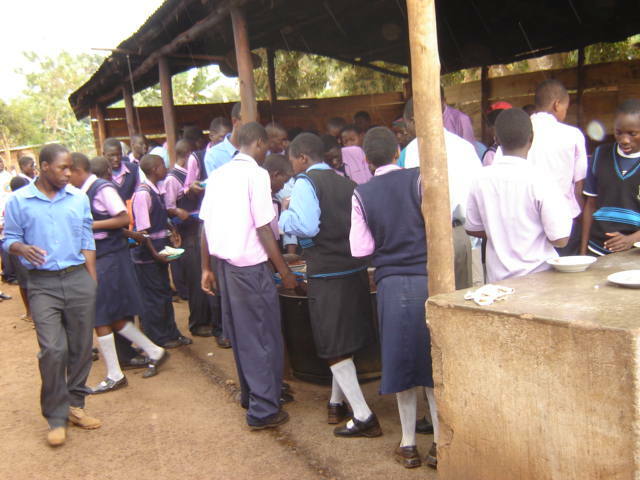 As a result, many day scholars (those who don’t board at the school) tend to stay behind for the evening meal, which is prepared for those in boarding section. Other potentially destructive situations have arisen as a result of poor food supply in the community. Nkumba has a fish landing site in its vicinity, a number of our pupils have been tempted to forego school and engage in casual labour to meet this need. We are also concerned for the female students, who are particularly vulnerable to prostitution. 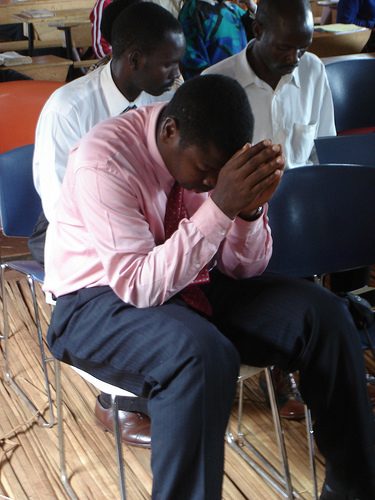 It is our prayer that the Lord provides and we acquire more land for agricultural use. Such land will be used to rear cattle and goats as well as growing food for the needy children. In the meantime, we need support in the area of food to help the children stay in school, and finish their education, for the glory of God.